Tommy Dunbar and Jack Gallagher were kind enough to have me on their show, 5 Songs. I talked about five songs that have made an impact on my life–everything from classic rock to a modern indie rocker (Maxi Dunn)! Give these guys a listen–each week, they do the same thing with other music fans as well. 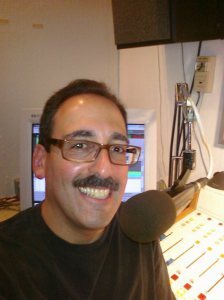 Mike Lidskin is a DJ on KUBU radio in Sacramento and creator of Twirl Radio. When it came down to the Beatles vs the Stones, he chose the Who!